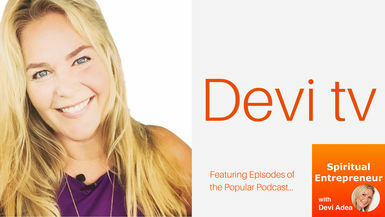 In this episode, Devi chats with Denise about "What is the Difference Between the Spiritual and the Work World". Denise leads a business that focuses on transforming the way that corporations and businesses communicate. She stepped on the stage of a major business club to give a speech on the “Art of Speaking with Impact” and on that day a company and legacy began! Denise, works with C-Suite Executives, Premier Athletes, and individuals, giving them the tools to capture their “Signature Style” and presence. Denise is well known as “THE” go-to person for assisting brands in having stronger messages and messengers. Her influence on brands and those who represent them helps companies’ soar in the marketplace. Denise has prepared individuals to speak on some of the most visible global topics such as sustainability, disruptive innovation, global workforce, emerging markets and women’s initiatives. Her client list consists of companies like: Nike, Autodesk, Microsoft, and Cisco…including developing and delivering programs for University of Oregon’s Masters program in Sports Product Management.